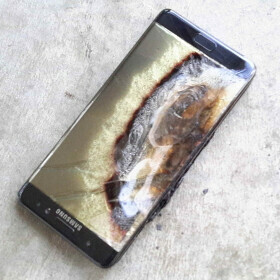 Folks, this is what we've been afraid of, and why we continue to implore you to shut down your Samsung Galaxy Note 7 and return it. Last night, a 6-year old boy in Brooklyn New York was burned when the Galaxy Note 7 he was holding exploded in his hand. The youngster was rushed to Downstate Medical Center via ambulance with burns to his body. The kid's grandmother, Linda Lewis, said that her grandson "was watching videos on the phone when the battery exploded. It set off alarms in my house." Luckily for the child, he was able to return home although he is now afraid of going near any phones. The family has been in touch with Samsung, but didn't reveal anything about the conversation(s) that took place. We are engaged with the Lewis family to ensure we are doing everything we can for them and their son. Customer safety remains our highest priority as we are investigating the matter. Samsung is telling all Galaxy Note 7 owners to turn off the device and exchange it. The manufacturer is giving owners two options. They can get a Samsung Galaxy J as a loaner, and exchange that for a new Galaxy Note 7 when Samsung starts shipping a revised version of the phone. Or, the phablet can be exchanged for a Samsung Galaxy S7 or Samsung Galaxy S7 edge model. 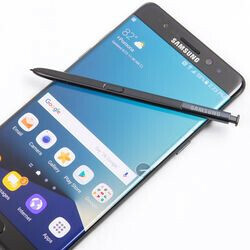 The price difference will be refunded, refunds will also be coming for Galaxy Note 7 accessories returned, and a $25 gift card or bill credit will be given to the owner of the Galaxy Note 7. We should point out that the Samsung Galaxy S7 edge has had issues of its own and is the subject of a lawsuit from a man who suffered second and third degree burns when his Galaxy S7 edge exploded in a shirt pocket. 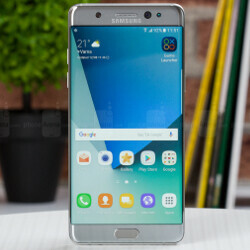 Some have criticized Samsung for not issuing an official recall for the Samsung Galaxy Note 7. That would force Samsung to file paperwork with various government agencies, and would make it a crime to sell the phone. 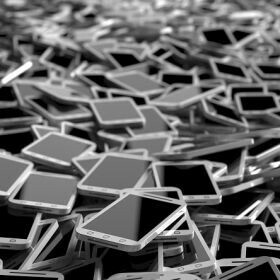 The manufacturer has determined that defective batteries found in some units are leading the phone to explode. Samsung will reportedly deactivate all recalled units after September 30th. Until then, either exchange the phone or turn it off. Your family's life is at risk. They should send him an S6 as a replacement. They should offer them the same deal they are offering everyone else. Samsung has already done its part in communicating the risks of using the phone. It's the parent's negligence that resulted in the kid being permitted to play with a potential time bomb. Six for Six Year Olds! I don't like the idea of kids holding smartphone or tablets. I prefer seeing them get dirty on playgrounds. I let my toddler watch tv if supervised and limited youtube watching on my pc. All touchscreen gadgets in our house are child proof. It's a different topic anyway. This will never end. 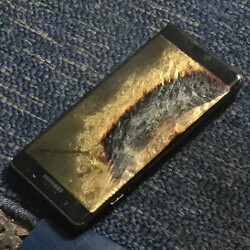 There will always be some old stock of the Note 7 in some retailer shop which will be sold anywhere from now to years later and then BOOM! again. No. 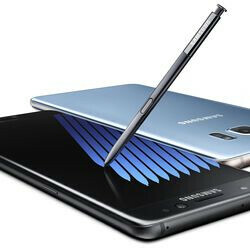 Samsung has repotedly decided to remotely deactivate all Note7s with the faulty batteries. So, all these explosions will end after September 30. Lol, auto-correct owned your @$$ once again. Oh look, meanest being a tool yet again. Oh look, Mxy being bumburned again. Oh look, meanest making an @$$ of himself yet again. Oh look, Mxy is deflecting again, knowing full well that he makes an @$$ out of himself more than anyone else. Oh look, it's meanest trying to get noticed because he has nothing else going on with his life. What's the matter, PA ran out of blackberry articles to post so you can have your sh*bleep* storm like you always do? Oh look, it's Mxy thinking that if he shows how much of an Apple worshipper that he is on PA articles, that someone from Apple will actually notice him and bring significance to his otherwise insignificant life. Too bad for him that it's never going to happen, because Apple just doesn't care about him. No wonder he spends all of his time on PA trolling other OS's seething with anger. He's realized how worthless he actually is. I think you mistake me for your OS of choice, or is it just you finally realizing how that sinking ship is no longer relevant today? I'm totally an Apple worshipper. I wonder what the status of my iPhone 7 preorder is. Oh that's right, I forgot. I didn't preorder it because my Nexus 6P will last me for another year until the next iphone. You're just trying to project yourself, a diehard BlackBerry fan who is still fighting the good fight, onto others because you're an alpha geek with no life. Lol, why do you think any of that actually matters? You're a complete idiot if you think I have any attachment to BlackBerry beyond preferring their devices over others and wishing them success. You're nothing but zombified $#33p that thinks that his idiotic trolling of other OS's not made by Apple will actually mean something to Apple. Newsflash: it won't. You're nothing more than a pathetic troll that trolls so hard that you actually create faux accounts of others (including me) in order to fap off to your own trolling. You're just an idiotic imbecile that still lives in mommy and daddy's basement using their computer to make yourself feel important, when you're nothing more than a keyboard warrior that no one wants anything to do with. You have an avatar that has a guy ripping his shirt superman style to reveal the BlackBerry shirt underneath. So of course you have a deep attachment to blackberry. You're deluding yourself if you think you don't. Not only that, but the reason you're even on your current account is because you couldn't behave on your last one after throwing temper tantrums because people were kicking blackberry around. Get over it and stop projecting. Not my fault if I'm not the diehard Apple fan that you thought I was. You're just a blackberry shill who continues to live in the past. This entire argument is stupid and you know it. But you're too busy collecting your troll tokens to see that. You have an avatar of a lonely, impish troll that has an unnatural infatuation for a male Kryptonian, so of course you're a lonely troll that worships Apple. You're deluding yourself if you think you're not. Not only that, but you've been limited so many times by the mods here that you've gone and created faux accounts just in case your current one gets banned. You also created a faux account of yourself in a pathetic attempt to have other PA users feel remorse for you. Too bad for you that everyone saw through your BS. Get over it and stop deflecting. Not my fault that you're a zombified $#33p that thinks that Apple will one day notice you and is willing to accept anything that Apple shoves down your throat. If you really thought it was stupid you would have stfu by now, but obviously you have not, so save the BS and lies for someone that will actually fall for them, and keep your troll tokens while you're at it, considering you're the biggest troll on this site. Whatever man. You're just regurgitating the same bulls*bleep* over and over. Just stfu and let it go because you're done here. Lmao! And what do you think you're doing? Pot, meet kettle. Also, I've got a can of air freshener to clear out smell from the BS that you've been spewing. Now take you're own advice and stfu because you've been done here. It's over. You're done. Stop embarrassing yourself even further and just let it go. You're done here. And I see you're using one of my insults. Hypocrite. If it's over, then why do you keep responding? Hypocrite, much? Glutton for punishment? Now take your own advice and quit making an absolute fool of yourself. I'm allowing you to live to fight another day. You should accept my generosity. No, you should accept that it's over and that you have lost. Shut up and stop dragging this on. You're done. Lol, like said, if it's done, then why do you keep responding, hypocrite? Stfu and go about what little business you have if it's done, and stop making a complete @$$ of yourself. Dude, it's over. You lost. Stop dragging this on and just take the L.